For the release of the SHAZAM! 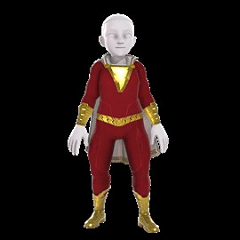 film, you can now get a free super hero costume for your Xbox avatar. To get the avatar costume click "CLAIM OFFER" and sign into your Microsoft account. Once signed in, you will be able to click 'get' and apply the costume to your avatar on your Xbox console.